Vaccines beef up your immune system by giving it a little taste of a weak—or dead—version of diseases. Now researchers in the UK have developed an alternative approach: build a synthetic doppelganger and let your body crush its hollow husk. 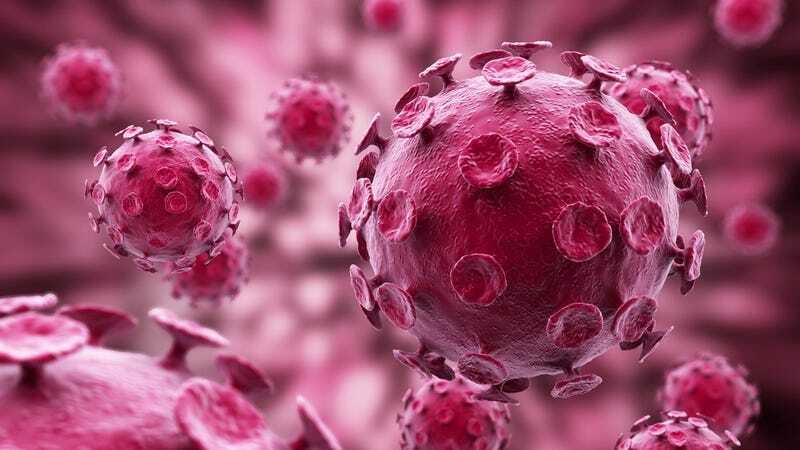 Not technically viruses but rather virus-like particles, the vaccine developed by researchers from the U.K. National Institute for Biological Standards and Control will stimulate the body's defense mechanism but can never, ever reproduce. And while plenty of vaccines are dead, this one has nothing inside at all. So far they've just been messing with foot and mouth disease—which tends to afflict livestock—but the same technique could eventually be applied to the related polio virus and maybe others in the future.